Many parents get their kids admitted to pre-school by the age of two while some start off with kindergarten education at the age of three or four. It differs from parents to parents and is purely an individual choice. But, ideally it is advisable that you should send your baby to school at the age of three. By this age, your baby gets familiar to general things such as feeling the signs of hunger, the need for water or going for potty. In short, your toddler can surely manage a few hours without you. All children at this age have a different nature and the tendency to act how they feel. This makes it a little difficult for the parents to prepare them for playschool or nursery. Parents should act wisely and keep patience to help toddlers prepare for pre-school. In general, all kids stand a bit reluctant when it comes to going to school for the first time. However, things get fine once they get habituated. Taking care of certain things can help you deal with the situation easily. 1. You need to create school environment in home before your baby starts to go to school. It will help your baby to get familiar with the school’s environment which will make it easy for him to adjust at school. 2. Visit your child’s school where you need to take his admission. Observe activities they teach to kids in schools. Collect all essential information regarding various activities. 3. Take your toddler to the school and let him observe the environment. If possible, make him meet his teachers, show him around and also let him see his new class. 4. Speak to your toddler about his school and the wonderful activities he will do there. You will have to talk all positive things about the school, teachers and the fellow kids. This will build a curiosity and excitement in your little one. And there won’t be any space for fear. 1. 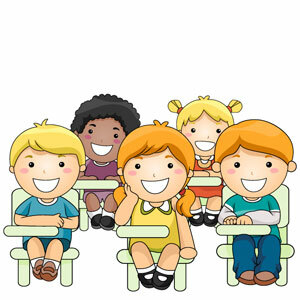 Before taking admission to nursery, parent should visit personally and collect all information of playgroup or nursery. Collect information from other parents or anyone familiar with the school environment. 2. You should check that the school provides clean environment, pure and hygienic drinking water, neat and clean school rooms and surrounding area. 3. Also check how they manage with toddlers who aren’t potty trained. 4. You should ask about your child’s security within the school premises. 5. Maintain a schedule of your child’s wake up time. If your child’s school time is during early morning hours then you should make him habituated to wake up early in the morning from around fifteen days before her school starts. It is very essential because if your child is not used to wake up early in the morning, it will create a complete mess during the morning hours. 6. Control your anxiety and don’t let your toddler feel the same. Just be confident when dropping him to the school. 7. If your baby continues to cry while entering school, don’t get emotional. It will happen for a couple of days or week but fade away eventually. 8. Prepare some healthy and delicious snack for your toddler’s lunch box as this also plays a pivotal role in keeping the child excited about his school days. Always keep in mind that this is going to be consistent thing for you to do. Helping toddlers adapt with school environment does take time and lot of patience from your end. Try and involve them in school related activities so that they keep looking forward to their next day at school!